There are plenty of ways to get more out of outdated software. It’s been a long time coming, but having your Mac tell you that some of your apps will stop working brings some immediacy to the issue: If there’s a 32-bit Mac app you rely on to get work done, and it’s no longer being updated, on forthcoming versions of macOS it will only work with compromises, and ultimately it won’t work at all. Don’t fear the death of your old software, my friends. Your current long-in-the-tooth favorites, and old friends you said goodbye to years ago, can live on and still be useful, thanks to the miraculous digital afterlife known as virtualization. When you think about emulation (if you think about it at all), it’s probably in the context of downloading software that lets you play old games or even revisit ancient computing platforms, all thanks to software that’s probably still under copyright but has often been utterly abandoned. But emulation (and its cousin, virtualization) can also be used legally to do all sorts of useful things. The Linux server I run my entire business on is, in fact, one of many virtualized servers running on a much larger piece of hardware. It’s virtual reality for computers: There’s an entire pretend computer that’s actually a program on a different computer. If you’re a Mac user, you may know virtualization from apps like VMWare Fusion and Parallels Desktop, both of which let you run Windows apps while you’re also running macOS. Since both macOS and Windows use Intel processors, this isn’t emulation (where the software is pretending to be computer’s processor itself), but it’s still virtualization, since Windows and its apps think they’re inside a Windows PC when they’re really inside an app running on a Mac. Running Windows apps can be really convenient if you rely on them. But what about those old Mac apps that are going to be obsolete soon? And what about those apps you abandoned when you upgraded to Mountain Lion or Mavericks or Yosemite or El Capitan? It’s not widely known, but VMWare Fusion and Parallels Desktop can run virtual versions of macOS, too. There are a few limitations. First off, you can only emulate macOS on hardware running macOS. Second, there are some specific versions of macOS that are allowed for virtualization: Mac OS X 10.5 Leopard and Mac OS X 10.6 Snow Leopard can only have their server versions virtualized, so if you need to dip back that far you’ll need to dig up a Mac OS X Server disc or buy an old one on the internet. 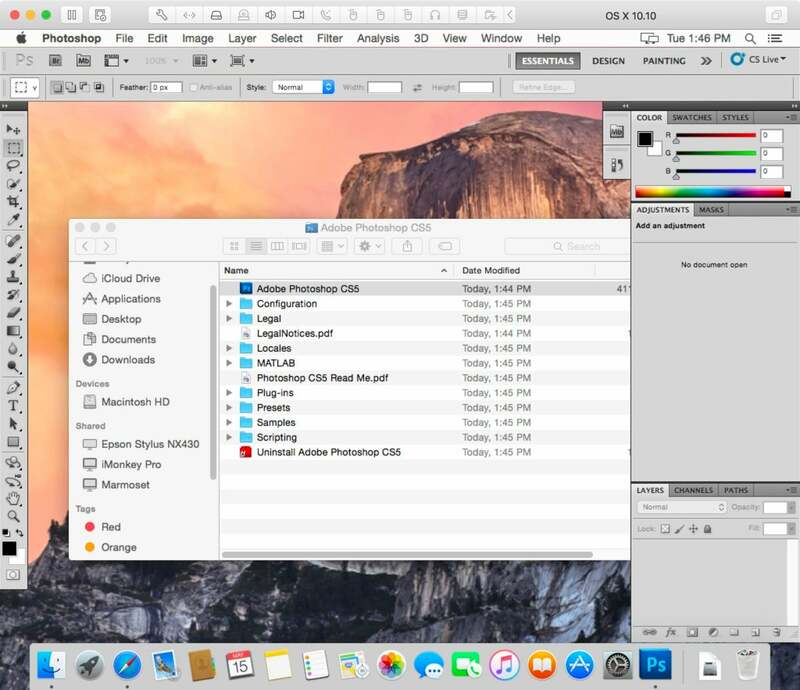 OS X 10.10 and Adobe Photoshop CS5 virtualized in VMWare Fusion 10. So if you have old software that you’re afraid isn’t going to work in a future macOS version, fear not: You should be able to install macOS in VMWare Fusion or Parallels Desktop and keep using that app. You can even set the virtualization software to open in a full-screen space on your Mac, so you can swipe on a trackpad from High Sierra to Mavericks and back. It’s not necessarily going to be the fastest or smoothest ride—unless you’ve got a Mac with a powerful processor and a lot of RAM—but it’ll probably get the job done. I have some serious doubts that anyone is performing major productivity tasks on the classic Mac OS, but there are several options for emulating those old versions. MinixMac is a basic emulator of very old macs, and I was able to get lots of my Mac OS 9 software up and running in the SheepShaver emulator. There is a big hole, though, if you’re someone like me who wants to chronicle the history of Mac OS from the beginning up to now: the early days of OS X. Macs in those days ran on PowerPC processors, and it’s a real challenge to emulate PowerPC Macs running OS X. I know some people who have done it using the QEMU emulator, but it’s hard to get working reliably and it’s probably not strictly legal. However, there’s another option: eBay. 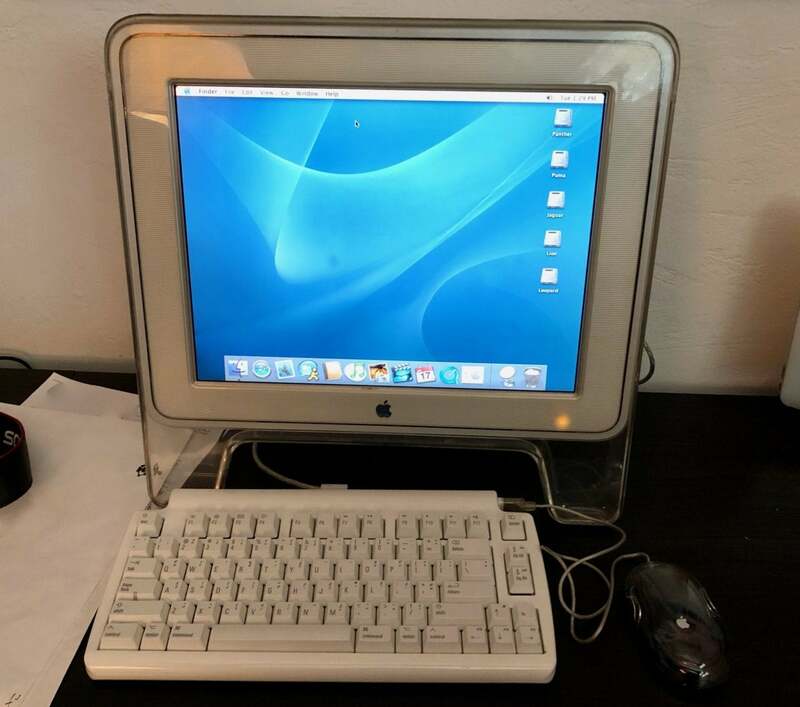 If you’ve never shopped for old Mac hardware on eBay, get ready for something. Last week I bought a Power Mac G4 and Apple Cinema Display for $150, and all of a sudden I’ve got a machine with Mac OS X 10.1 through 10.5 installed on it. (Alas, this system isn’t quite old enough to run Mac OS X 10.0 or the Public Beta release.) I’m sure that this area of Mac emulation will one day make more sense, but right now it’s in an uncanny valley between the truly ancient and the modern and legitimate virtualization available from Leopard Server forward. Beyond eBay, of course, consider just keeping your old Macs around after you buy new Macs. Old Macs that seem dog slow on the current version of macOS will seem much faster when their hard drives are wiped and replaced with an older version of the operating system. My 2009 iMac, which seemed horrendously slow running El Capitan, absolutely flies when it’s running Snow Leopard. If you rely on old software, keeping an old Mac around isn’t a bad investment. The ability to run old software you still need to use is important, but there’s a larger issue here, too. In our quest for the latest and greatest, it’s easy to discard old technology as outmoded and irrelevant. Which it is, in a way. But after a few years, what was old and outmoded becomes historic, maybe even classic. Internet communities that build emulators of old software and hardware are vital to allowing the people of today and tomorrow to understand what computers and video-game consoles were like in the early days. In this way, I think we actually have to thank Apple for changing the license for macOS in 2011 so that it certain versions can be freely virtualized. That probably means that, long after the Mac has vanished and the devices we use no longer use Intel-compatible processors, all the Mac software from this decade will survive in its own virtual reality.